This post is a part of our Diwali blogging series #PhathakaBlogtrain . Thank you Geethica from Thoughts by Geethica blog for introducing me.. 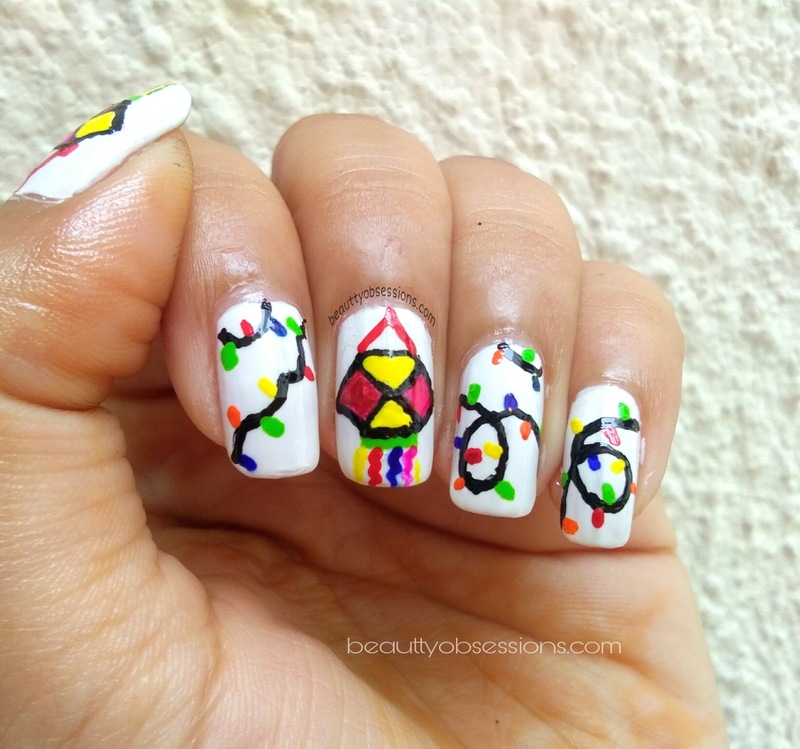 So here is the first NailArt of Diwali inspired by light decoration.. Find below the steps.. So first I have painted white polish on all nails ..here I have taken white as base, except that black can also be a choice. 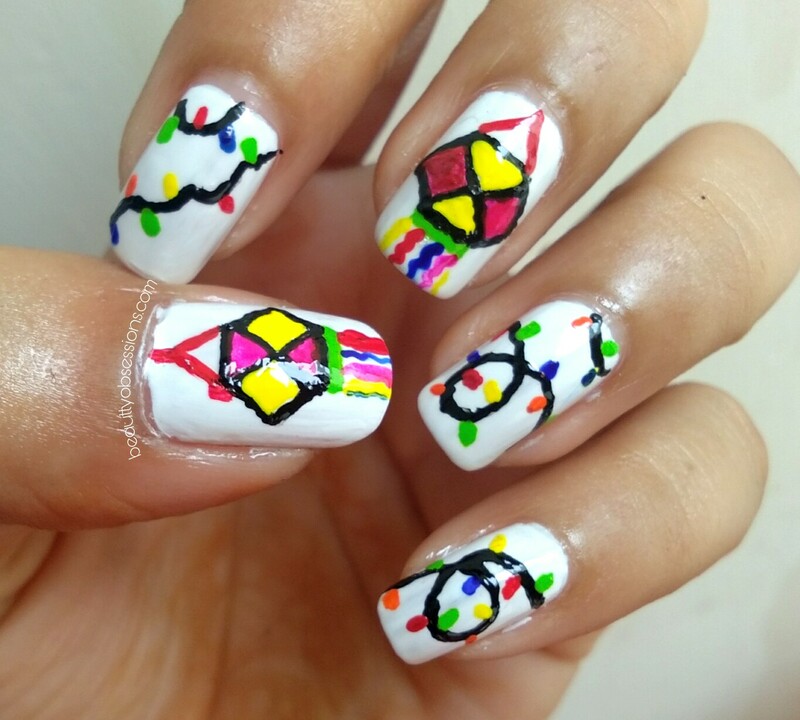 I have drawn paper lanterns in the middle finger and thumb nail.. For creating I have used acrylic colours... 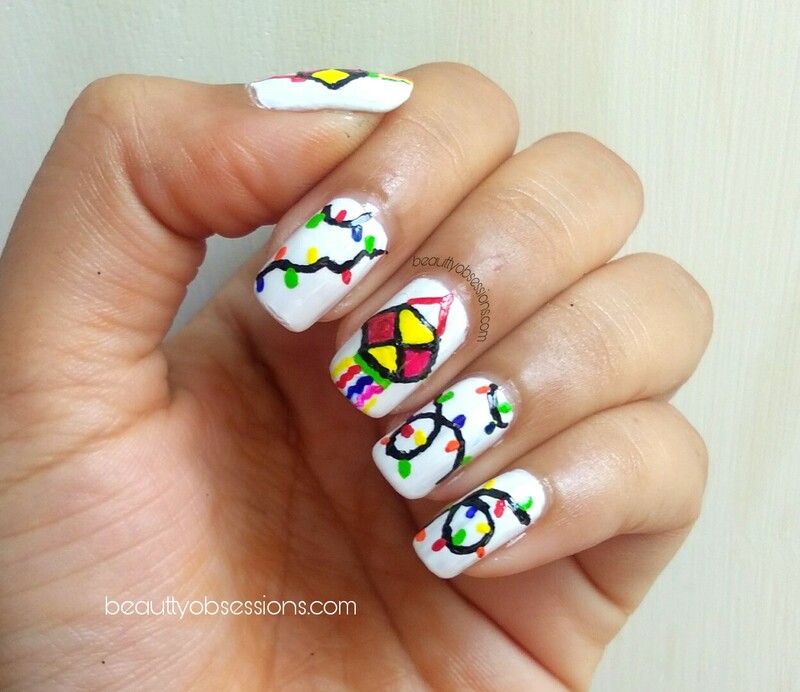 Refer the picture for steps..
Then on the other nails, I have tried to draw the small colourful bling lights.. For that draw random black lines and put different bright colour dots in between... Refer the picture for better understanding..
After finishing everything, apply generous quantity of clear top coat and wait till dry... Now the Diwali nails are ready to flaunt..
Share your thought in comments below.. Till then stay beautiful.. 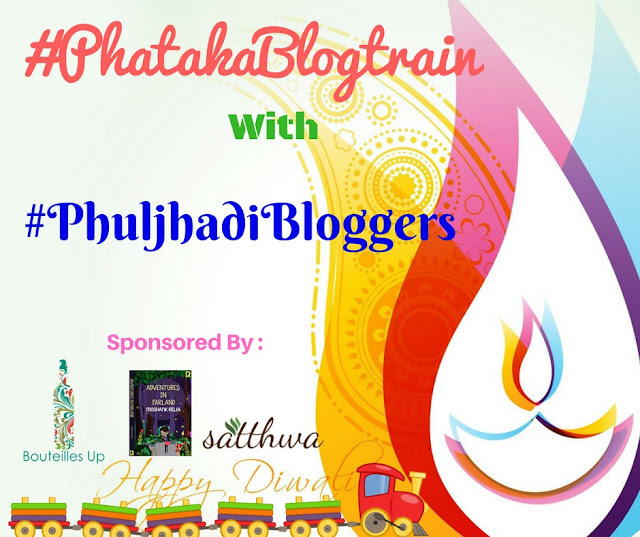 I am onboard on #PhatakaBlogtrain in association with Moshank Relia, Bouteilles Up & Satthwa. Thank you... 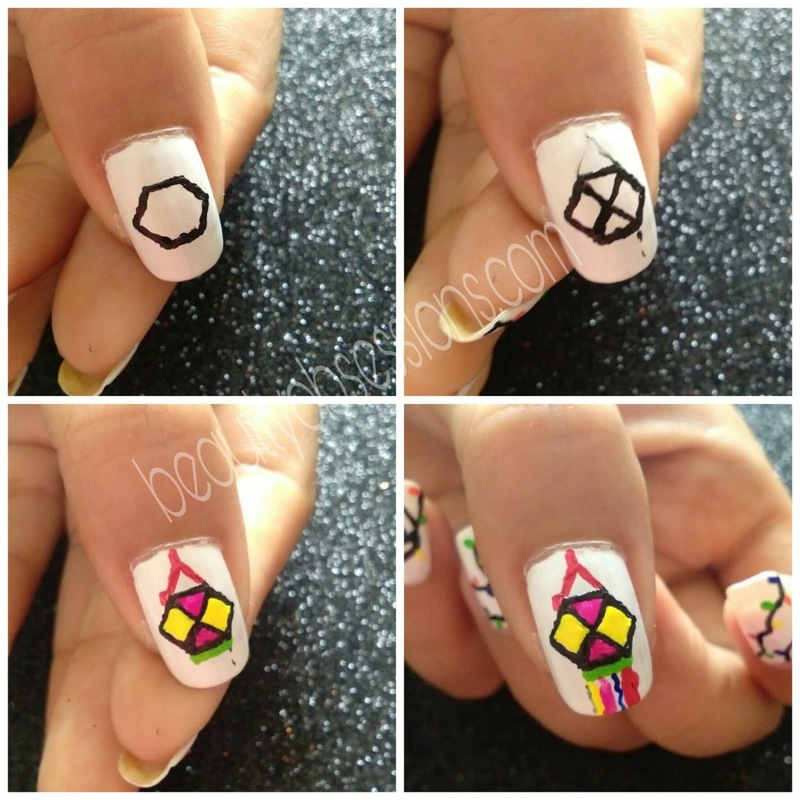 It is easy but need practice..
Wow you really done great nail art. 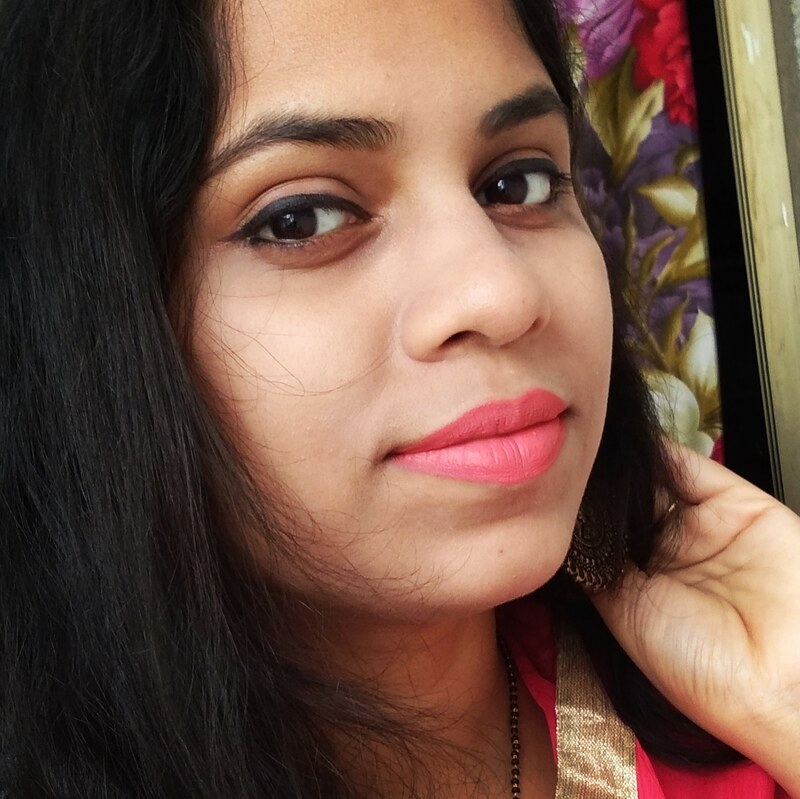 Perfect for festive days. 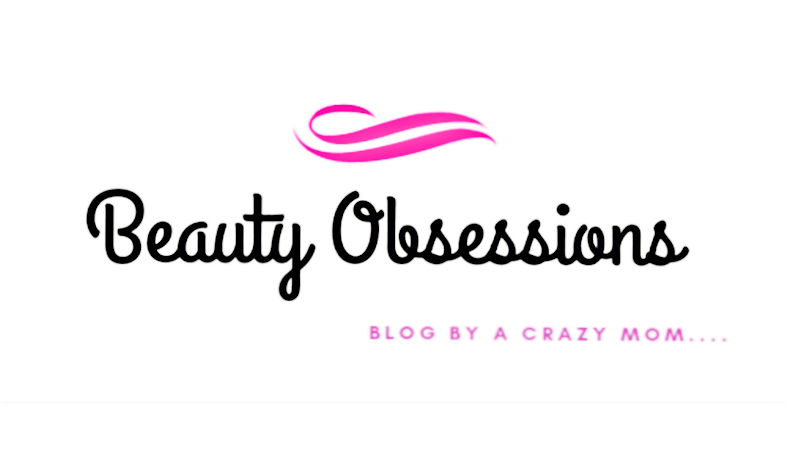 Loving your creative ideas. 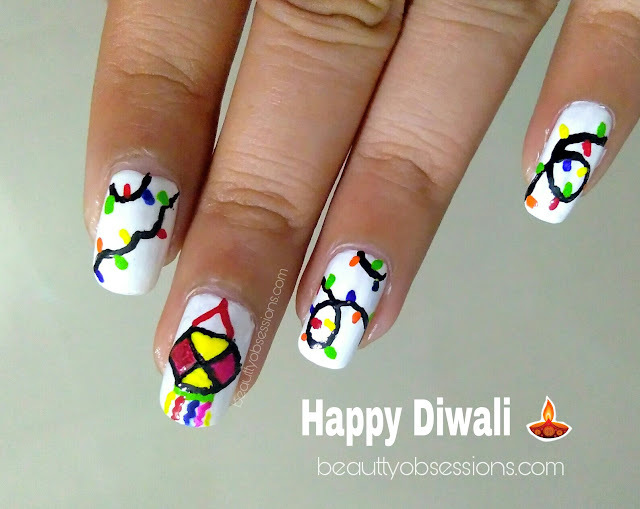 Oh such a beautiful diwali inspired nail art. I lve the fact how effortlessly you create such beautiful nail arts.. Awesome lanterns and lights on your nails, loved the nail art! 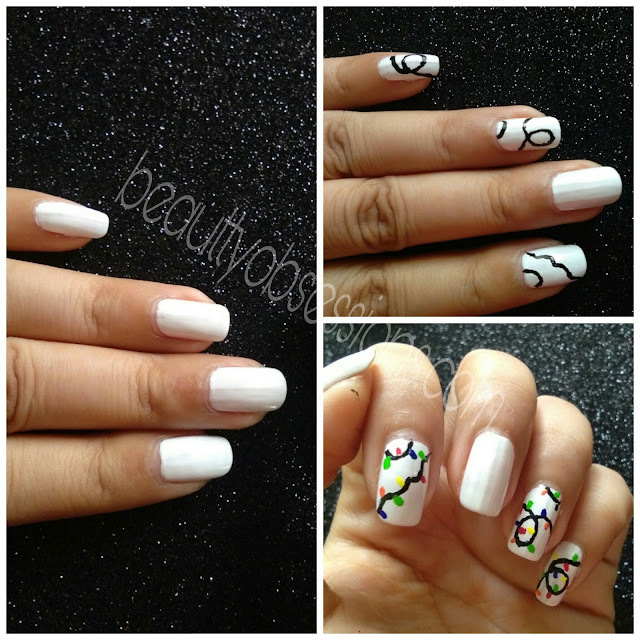 Such a beautiful nail art.. perfect for diwali look! 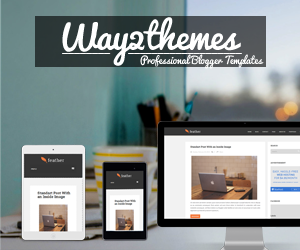 I like all the designs with white background. And your creativity is so good. I wish I can also beautify my nails like you on my own.